Gone are those days when dubbing was just a phenomenon for Koreanovelas and the Mexicanovelas! Thanks to the technological advancements that we have Dubsmash, a video messaging app for Android and iOS where users can easily record a video featuring them and at the same time dub an audio file from a renowned song or quote. This Dubsmash app was launched in November, 2014 and it is now trending like a rage as folks are using them to create some of the craziest and creative videos. But what is so great about this app? Well, you never know when you become the next Dubsmash superstar! 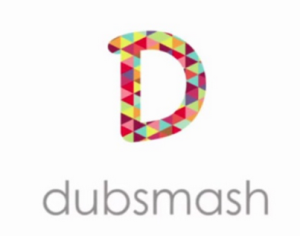 Here are some tips to use Dubsmash in the best way possible. Check the lighting: Perhaps the best tip that anyone can use is to make favorable lighting conditions. Try not to make the place too dark or too bright; choose keeping the room somewhere in between. The best possible way of getting a balance of the lighting is to shoot during daytime with your face directly towards the window and the camera coming in straight. If you use a table lamp, keep it at a safe distance so that your face doesn’t glow. Take multiple takes: As nobody is perfect, we can be pretty sure about the fact that it is not possible to get the best video in the first time. So, to be on the safer side, it is far better to take multiple takes of the video so that you can choose among them and select the best one. This is a better way of not having to regret in the near future. Camera frame & posture: This tip may sound too overt but if you wish to create a Dubsmash blockbuster, you have to maintain the best body posture and also the best camera frame that is possible. If you’re Dubsmashing alone, you should get into the center of the frame or just come from the sides to create a realistic effect. Give the best expressions: The most important aspect or the key to successful Dubsmash videos is your expressions. Noone would prefer watching your video if you don’t give the required expressions and emotions. So, try to give the best expressions. So, if you’re using a Dubsmash app, take into account the above mentioned tips to create some hit videos that could go viral on the internet. Know more about the latest apps here.